Read and share this white paper to take a closer look at the drivers behind the new marketing technologist role and how B2B companies can leverage this role for long-term success. Vidyard has launched Vidyard for Salesforce, providing an interface to upload and share videos with internal teams, contacts and leads. The app is available for download on the Salesforce AppExchange. The app is designed to provide video views and engagement data — including which videos are being watched, by whom and for how long — directly in Salesforce. This gives sales reps more detailed context on a prospect’s interests, helping to drive more productive interactions, according to company officials. 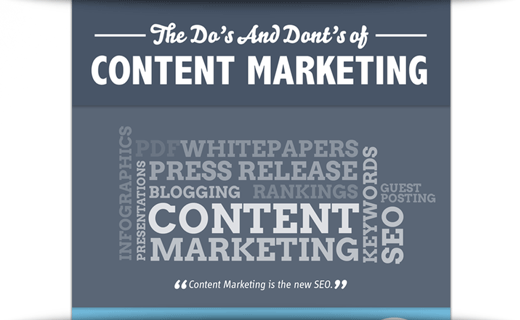 When done correctly, content marketing, social media and SEO are a triple threat for lead generation. Being interesting helps get you better search rankings, larger audiences, and ultimately, more impressive results, as demonstrated in this infographic from Adept Marketing. Big Data is having a big impact on marketing, but only one third of executives are familiar with the term, according to this infographic from Demand Metric, a marketing consultancy. 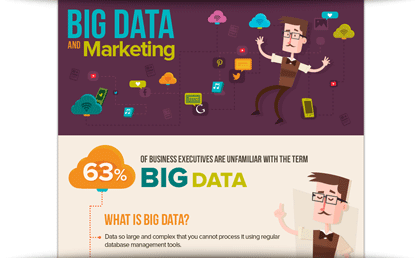 The infographic outlines the opportunities and challenges of Big Data for marketers. Blogs, infographics and press releases are all integral to a top-notch content marketing plan and can do wonders for your SEO and web traffic. This infographic from WebNet Hosting outlines some best practices. Marketing automation is an engine that drives remarkable revenue growth for companies that use it effectively. Unfortunately, many firms struggle to put the pieces together when they invest in marketing automation. This E-book, presented by LeadMD in conjunction with Demand Gen Report, offers a solution to this challenge. It explains how the right marketing automation consultant can unleash the full power of your technology investments, and it will show you how to pick the right consulting partner for your business needs.